One of my favourite things about Christmas is stockings. I used to love opening mine on Christmas morning and seeing all the fun smaller gifts that could fit into my (pretty large) stocking. As an adult I used to be in-charge of doing the stockings for my siblings. I really enjoyed finding fun, useful and unique things to in everyone's stockings. For this gift guide I have curated some of my favourite things, all of which I think will be great in any stocking (or for a smaller gift for someone). This is a tiny cast iron skillet that has either pizza dough with spices, brownie mix or cinnamon bun mix and icing packaged inside it. I think it is not just super cute for any foodie, but also a nice pan that you can use to make future dishes in, or just eggs (Mr. Fox makes a mean frittata and got very excited to see this item in my shopping bag). 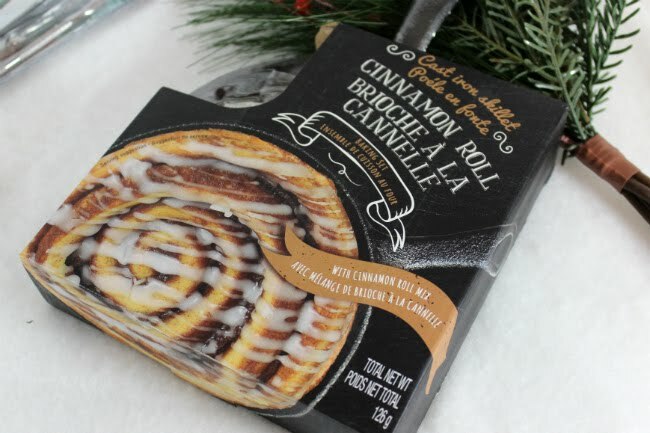 I may have bought my Cinnamon Bun one just for the pan, but I am going to enjoy every second of that bun. Extra bonus my cashier at Shoppers Drug Mart thought it was such a good gift after scanning it, that he said when he went on break he was going to buy a bunch for stockings (see it is a good gift). Everyone suffers from dry hands and feet in the winter, I just know it. So giving the gift of a nice good quality hand and foot cream set is a fantastic gift for anyone to receive. Soap & Glory happen to make a really amazing line of products that are incredibly decadent and I think make a fantastic stocking stuffer. Available in a few shades, I happen to have the Top Coat shade that is incredibly iridescent and festive. These ornaments can be hung on a tree or put in a stocking. Quo always has some great holiday glosses so it is worth trying. They also have some fun other options like sponges available. 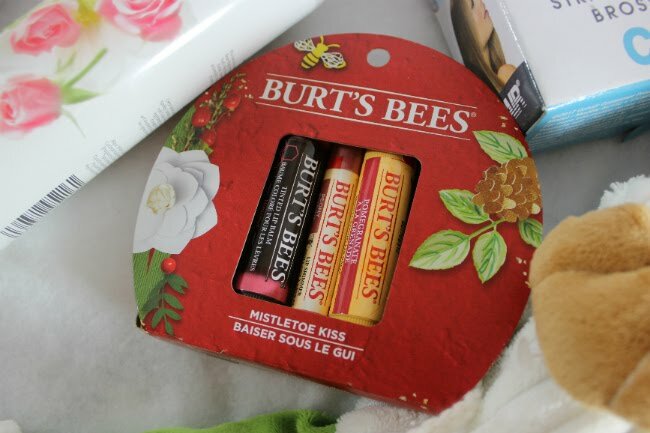 This trio has some Burt's Bees lip favourites to help keep your lips smooth and soft, and mistletoe ready. Containing Pomegranate Lip Balm, Hibiscus Tinted Lip Balm, and Peony Lip Shimmer Balm, it has a balm for every occasion. 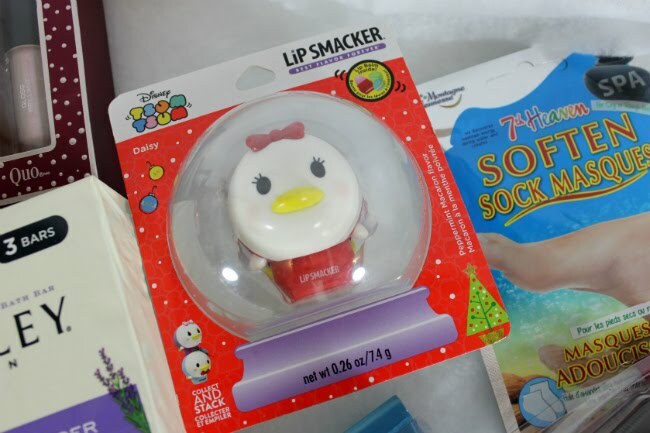 Lip Smacker's Disney Tsum Tsums are a favourite of mine so these limited edition holiday lip balms come in some of your favourite Disney characters (Daisy, Donald, Mickey, Minnie, Ariel, Tinkerbell, the list goes on and on) in special flavours with winter details (my Daisy has a scarf on). Personally I think these are adorable and can see my collection of Tsum Tsum balms growing even larger in the next few weeks. They also come in plain packaging, but the ornament packaging is really cute to me. If Tsum Tsums aren't your thing, they also have a whole whack of other sets featuring Disney characters (that includes Star Wars and Marvel by the way), Coca-Cola, Skittles and a bunch of other great flavours. Quo by ORLY has a pretty fantastic formula. 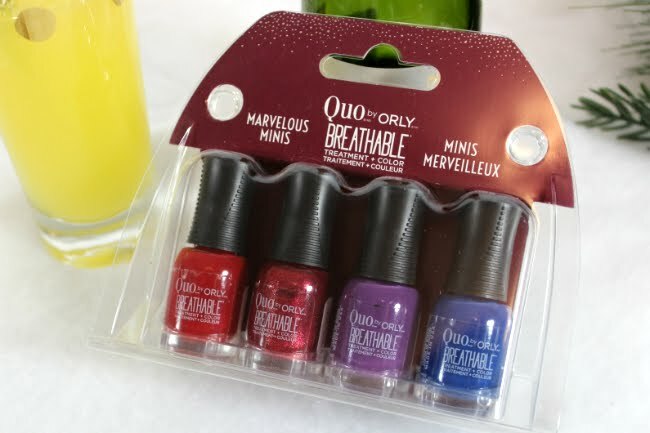 This collection of 4 minis is a great stocking stuffer for anyone who is a polish addict. There is no need for a base or top coat with the formal, it lets your nails breathe and thus helps keep them from drying out. Yardley makes a bunch of great products that would be a great addition to any stocking. From Soap to Eau De Toilette, Moisturizing Fragrance Body Spray, Moisturizing Body Wash and Body Lotion. With fragrances like Lavender, English Rose, Lily of the Valley, there is something for everyone. English Rose is one I really like this time of year. Bonus, Yardley products have the Royal Warrant on them, so you know it is good quality or our Queen wouldn't be using it. 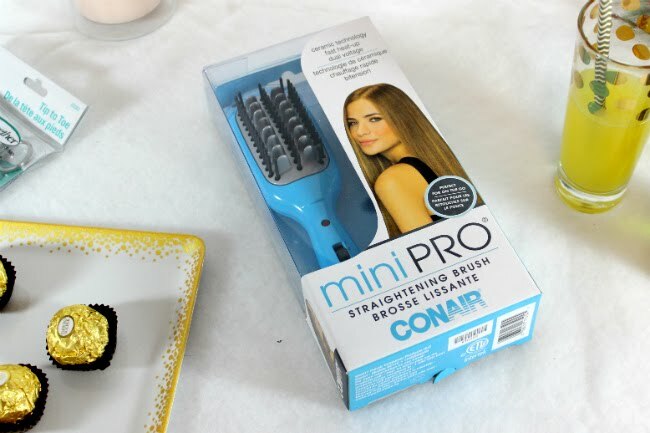 This is a miniature version of Conair's Hot Ionic Straightening Brush, which I absolutely adore. A mini version (or they make a mini straightening iron and drier too) is the perfect gift for that person who travels, goes to the gym, or just has short hair. I personally had my hairdresser take my hair much shorter than normal ("oops I took it too short" are words you never want to hear from your hairdresser), so I am loving this mini version. Real Techniques makes my favourite sponges. Seriously I threw out so many others that just don't live up to the RT ones. 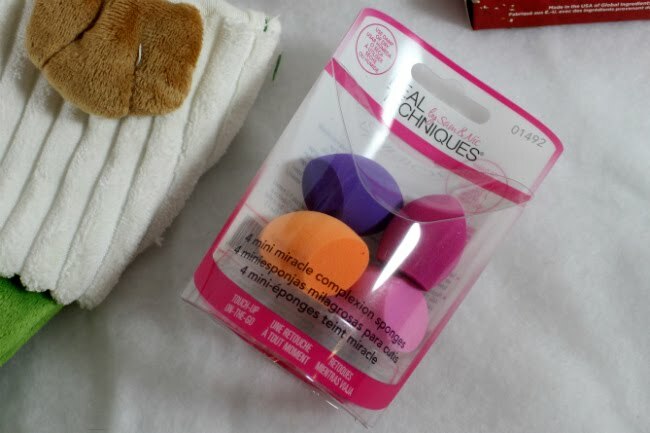 This set features 4 minis of their best selling sponge Complexion Sponge for touch ups, concealing or colour correcting. EcoTools makes some down right amazing brushes. 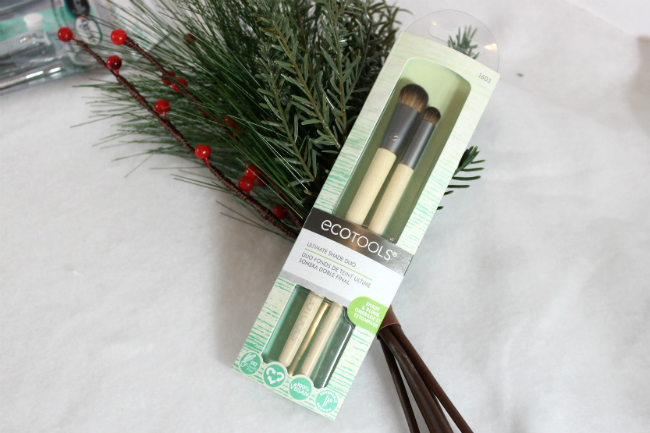 My weakness is brushes, I have over 250, and EcoTools is definitely a brand that makes my list. Affordable and great quality, I really can't complain. This set gets you two eyeshadow brushes, one shade and one contour, making it great for any novice to makeup or pro. It is always a great to receive a nice fragrance during the holidays. So...? makes it really easy and affordable with their body mists. I have been trying out their Vanilla Milkshake, Watermelon, and White Petals Mists lately and have really enjoyed the scents. Vanilla Milkshake is a basic vanilla scent that is a good crowd pleaser. White Petals is a bit more complex, with bergamot, freesia and water lily. Watermelon is a fruity and pretty straight forward scent that smells quite a bit like a watermelon. I have tried a lot of 7th Heaven masks over the years, they are fantastic quality and incredibly affordable. 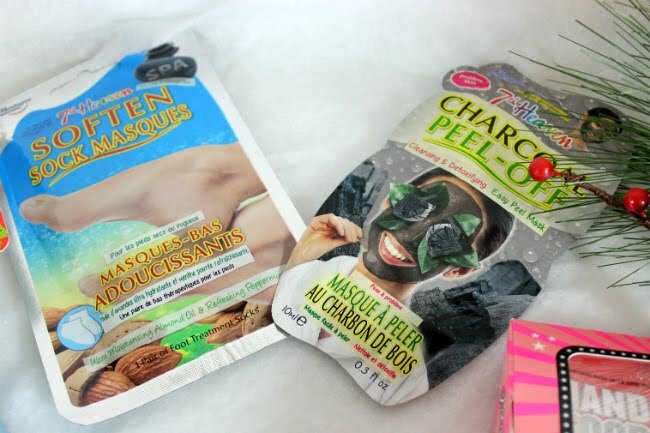 From their great peel off mask, mud sheet masks, feet and hand masks to their new Charcoal masks they are all amazing to give and are a perfect stocking stuffer. Charcoal is all the rage right now in both food and beauty, so a peel off mask that helps cleanse and detoxify is a great idea. Plus who doesn't love the cheeky factor of a coal reference in a stocking? I personally love the Soften Sock Masques for my rough winter feet. These hand lotions are a decent size and smell amazing....amazing I say, while still being really hydrating. The Vanilla Bean one smells so nice and has a little cute snowman on it. There is also Gingerbread, Candy Cane and Strawberry available. I have never gotten excited about a sponge before, that was until I tried Scrub Daddy. 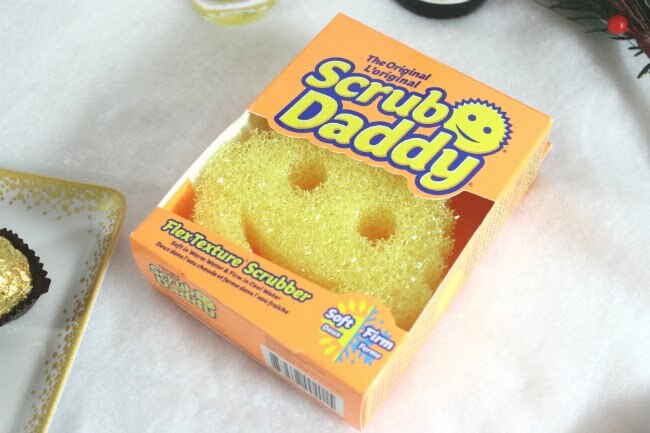 Scrub Daddy is the best selling Shark Tank pitched product ever, and I can see why. I have been using it for about 3 years and love it so much. It gets soft when used with hot water, it stays firm if you use cold water. By sticking your fingers in the eyes you can rotate it easily inside tight spaces. The spikes help you get tough stuff off. The mouth (the best part) helps remove stuff from things like spoons and knives (PB off of spoons, it's the best). A nice good quality mani-pedi kit isn't easy to find. Usually they just have a file and clippers in them. This set has so much more to it. 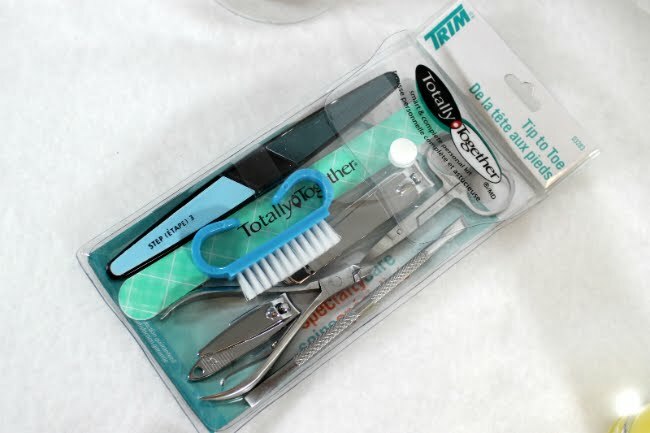 A Nail Brush, Fingernail Clipper, Nail Scissor, Cuticle Pusher, Cuticle Clipper, 4- Step Buffing Board and Toe Nail Clipper. The cuticle pusher is all metal and double sided!!! I really love this set because of the fact it is more then just a 3 piece set and because of the quality of the products inside it. I am sure there are a bunch more little items that would make great stockings, but this is honestly some of the best items I would love to get or give this holiday season. What is your favourite thing to get in a stocking?